With the 2003 invasion and subsequent occupation of Iraq, the most controversial question in world politics fast became whether the United States stands within the order of international law or outside it. Does America still play by the rules it helped create? American Exceptionalism and Human Rights addresses this question as it applies to U.S. behavior in relation to international human rights. 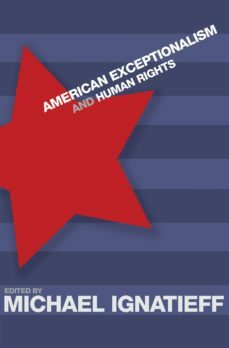 With essays by eleven leading experts in such fields as international relations and international law, it seeks to show and explain how Americas approach to human rights differs from that of most other Western nations. In his introduction, Michael Ignatieff identifies three main types of exceptionalism: exemptionalism (supporting treaties as long as Americans are exempt from them); double standards (criticizing "others for not heeding the findings of international human rights bodies, but ignoring what these bodies say of the United States); and legal isolationism (the tendency of American judges to ignore other jurisdictions). The contributors use Ignatieffs essay as a jumping-off point to discuss specific types of exceptionalism--Americas approach to capital punishment and to free speech, for example--or to explore the social, cultural, and institutional roots of exceptionalism.These essays--most of which appear in print here for the first time, and all of which have been revised or updated since being presented in a year-long lecture series on American exceptionalism at Harvard Universitys John F. Kennedy School of Government--are by Stanley Hoffmann, Paul Kahn, Harold Koh, Frank Michelman, Andrew Moravcsik, John Ruggie, Frederick Schauer, Anne-Marie Slaughter, Carol Steiker, and Cass Sunstein.